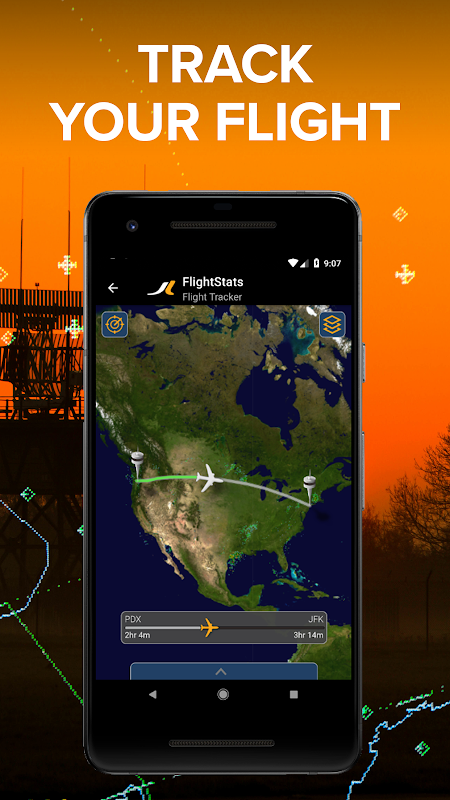 FlightStats is a free real-time flight status and airport tracking application for Android. Take control of your day-of-travel by downloading FlightStats: - Quickly access worldwide flight status by flight number, airport or route - Watch flights as they move across the world on our gorgeous flight tracker - Share your flight right from the flight overview screen - Scan essential information like departure/arrival times, delay indexes, gates and weather - Share current airport conditions like delays and weather - Check the flight timeline to get in-depth descriptions of all activities about your flight FlightStats is a leader in global flight and airport information services. 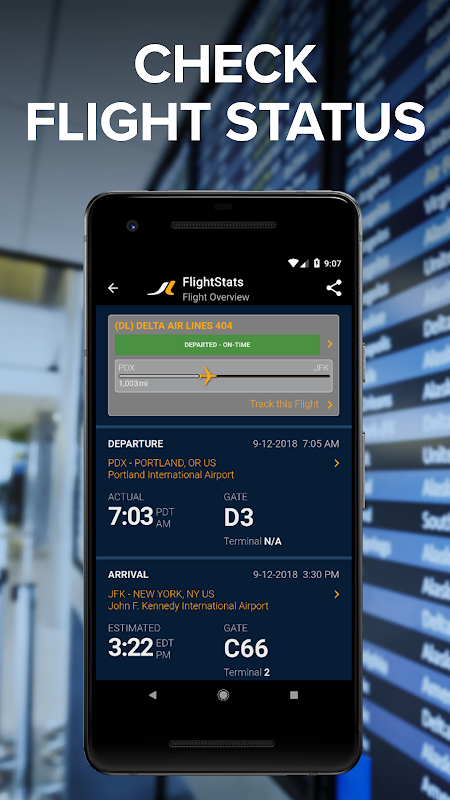 Our flight status, trip monitoring and flight alert solutions are trusted by millions of travelers every day.  Is FlightStats yours? Claim it!